PUNE: Pune-based auto firm Force Motors Ltd said it has entered into a non-binding joint venture agreement with Rolls-Royce Power Systems AG to produce engines for power generation and rail application and complete power generation systems, including spare parts, for Indian and global markets. The joint venture with Rolls-Royce will be the company’s first step towards diversifying into the non-auto segment even as it remains steadfast towards its core engine business, managing director Prasan Firodia said in an interview. The joint venture, in which Force Motors will hold a 51% stake and Rolls-Royce the rest, “will give us a global play”, Firodia said, pointing out that it is not just a “contract manufacturing agreement”. The firms will build a new dedicated facility that will make engines for the railway and power generation businesses in India and for global markets. The plant will be operational by the first quarter of fiscal 2018-19. From now until the start of production, the two firms will invest Rs300 crore. 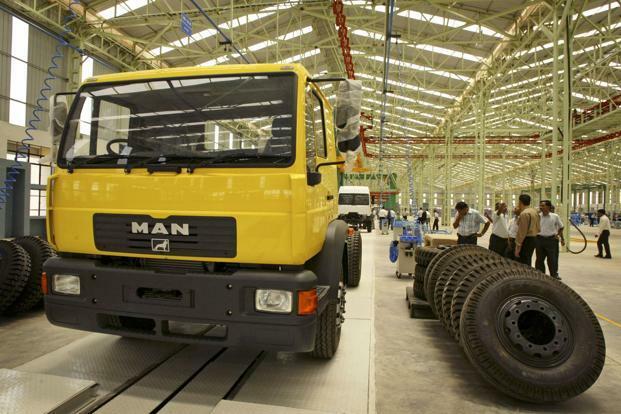 Force Motors makes pick-up trucks, tractors, vans and mini buses under the Traveller, Trax and Gurkha brands and critical engine parts under Jaya Hind Industries. The firm also supplies engines and engine components to luxury carmakers Mercedes Benz India Pvt. Ltd and BMW India Pvt. Ltd. In the quarter ended June, Force Motors’ net sales dropped 1.2% to Rs744.5 crore, while net profit slumped 41% to Rs30 crore from a year earlier. The earnings were dragged down by lower volumes that came on the back of the transition to goods and services tax (GST). HDFC Securities analyst Abhishek Jain wrote in a 20 July post-earnings report that he expects a recovery in the company’s earnings as early as the second quarter of fiscal 2018, led by restoration of channel inventory and strong traction in luxury car sales owing to a fall in prices. “We remain positive on the stock, based on the premise that Force Motors continues as the sole supplier of power train components for Mercedes and BMW,” he wrote. Jain declined to comment on the firm’s partnership with Rolls-Royce. “I am not clear about the finer aspects of the JV, including export potential etc, and will hence not like to comment,” he told. On Tuesday, shares of Force Motors rose 3.32% to end at Rs4,223.85 on BSE, while India’s benchmark Sensex rose 0.87% to 32,158.66.